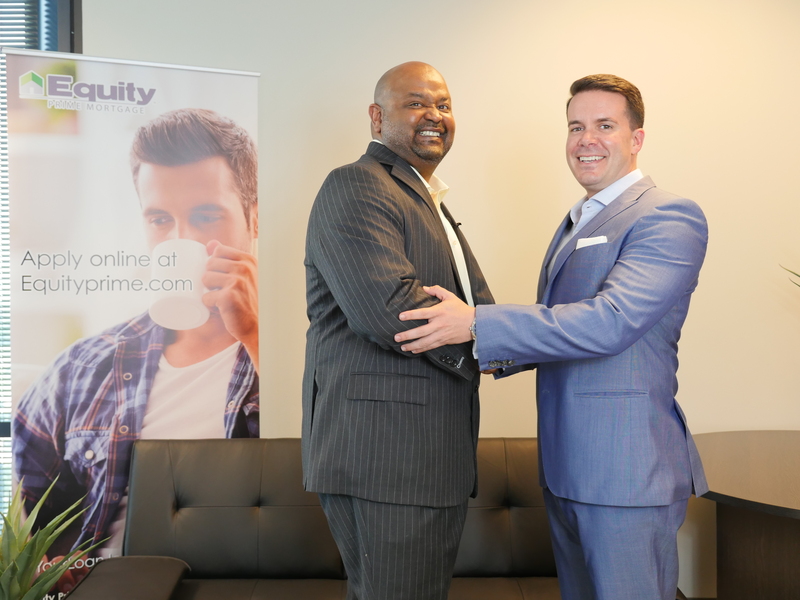 Equity Prime Mortgage has announced the addition of Senior Vice President of Sales Keith Webster and the Legacy Division. Webster is a Founder of the Legacy Division while at Alterra Home Loans in 2017. The primary focus of the initiative is to crush disparity in mortgage lending in underserved markets. The most despaired market in America is the African-American market with a low 41 percent homeownership rate compared to the national average of 64 percent. This demographic has been the primary focus of attention, however balancing playing fields and creating opportunity for Latinos and women are also a major part of the platform. Webster’s key role will be serving as SVP of Sales. In this role, he will be help lead a national effort of assisting in the overall growth and support of the sales department with focus on diverse markets. He has more than 20 years of experience as a successful industry leader and former owner of Apex Mortgage Group Inc.
“Equity Prime Mortgage shares the same passion of increasing homeownership for underserved markets and is the best suited in products, underwriting approach, ingenuity, and empowerment to best help make the changes necessary to achieve our goals,” said Webster. In the past six months 12 Equity Prime mortgage originators were recognized in NAHREP’s top 250 of 2018 list, also being recognized in the Atlanta’s Best and Brightest companies to work in 2018.